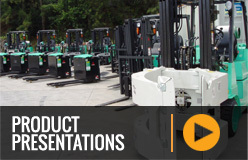 With flexible and cost effective forklift rental options, MLA has all of your needs covered. Whether you require equipment for a day in Dandenong, a month in Laverton or 5 years in Sunshine, we have a solution for you. We have a comprehensive selection of high quality Mitsubishi engine and electric forklifts available at short notice across Melbourne and throughout VIC from MLA. Thanks to our fast service in areas like Box Hill, Thomastown, Bendigo and Shepparton, you will never need to be without properly functioning equipment. 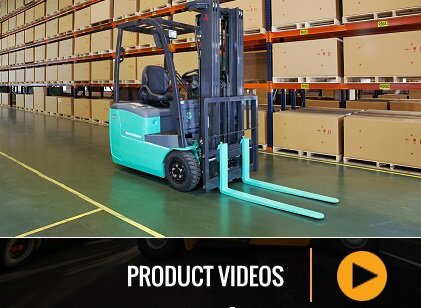 MLA are committed to meeting the different needs of all of our clients by offering short term forklift hire for immediate needs and extended term options as a cost effective solution for your business. As standard we include all required forklift servicing and breakdown repairs 24/7 in our rental to protect you against unexpected surprises. For a free needs assessment and obligation free quotation, call the team at MLA today. MLA's reputation has been formed on the back of our commitment to delivering unparalleled customer service while enabling customers to find the most flexible and cost effective hire. MLA's mobile service vans are on the road in most areas, making it easy and convenient to get your forklift repaired or serviced when you need it. Contact us now for service in Thomastown, Bendigo, Shepparton, Laverton and Box Hill and throughout VIC. MLA's trained and experienced mobile technicians can expertly service and repair all makes and models. Call us now.